Bonnie has been in healthcare since 1973. Bonnie provides customized evaluation, education, coaching and cooking instruction tailored to meet the needs of each patient. Her programs are easy to follow, simple and flexible. Specific areas of expertise include working with patients who have issues related to weight management, gastrointestinal disorders, celiac, metabolic syndrome and diabetes. Bonnie’s approach is based upon holistic, integrative and functional medicine concepts with a focus on total lifestyle management. Suggested supplements are natural, whole food based and individualized to each patient. She has participated on radio talk shows, appeared on ABC and has been a frequent guest chef at Whole Foods. Integrative Acupuncture is delighted to welcome Bonnie Beck into our practice. 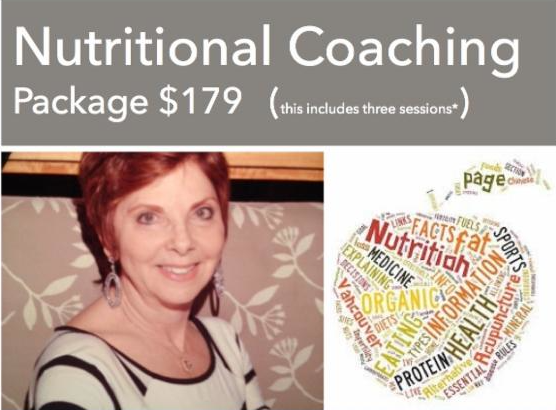 Bonnie has been a colleague of ours for many years and we have the highest regard for her knowledge, compassion and her ability to create customized nutritional plans for each individual patient.